I spent an extra couple of minutes fixing a few bugs afterwards, so maybe 55 minutes in total. I entered the Ludum Dare game making competition this weekend as usual. The theme was “Alone”. 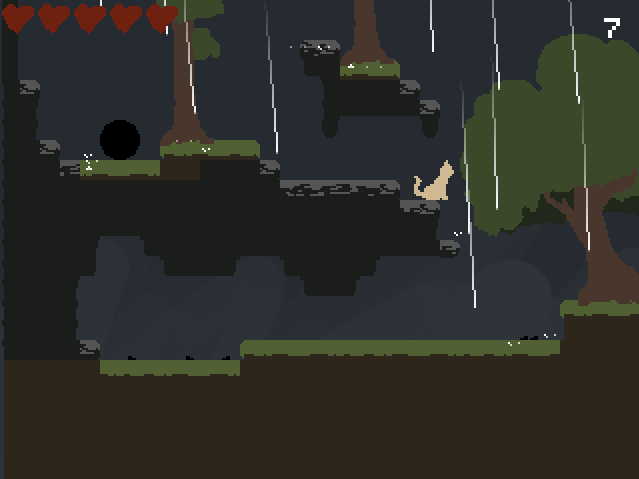 I didn’t have any immediate ideas, so I began by making the basis for a platformer with the theme in mind. Then it sort of evolved as I came up with things I thought would be cool to add. I decided early on to make it atmospherical, and I put a lot of focus on the effects, sounds, music and animation.